The Frost Effect appears to have hit the betting markets ahead of Nebraska’s opener against Akron on Saturday. Or maybe we should say the optimism surrounding Husker football, thanks to Scott Frost, continues to show up in the market as it’s been that way from the very start. South Point Hotel and Casino released its Week 1 lines back in May with the Huskers favored by 18 over Akron in the season opener. After just an hour of at-the-window betting at South Point, the Huskers were already up to a 23-point favorite over the Zips. Depending upon where you look right now, Nebraska is between a 25- and 26-point favorite headed into Saturday. For whatever it’s worth, the mostly computer-based projections don’t love that line. In fact, you could more accurately say they hate it. One of my favorite college football sites during the season is nothing but columns and columns of numbers on the plainest of pages. It’s The Prediction Tracker, which, as its name suggests, tracks 50-plus predictions week by week for 40-some games. Some of the predictors you’ll recognize (Sagarin, FPI, Massey), others you almost certainly won’t (Dunkel Index, Dokter, Laz Index), but there are links to all of them and those links will take you to some gloriously basic-looking webpages. Almost all of them are saying the bettors who have moved the Nebraska line up to around 26 points are a little too optimistic in Week 1. Of the 44 games listed for this week, Nebraska’s chance to cover the spread –– 25.04 percent –– is the lowest of any home team. The average of all the predictions listed say Nebraska should be a 14.7-point favorite with a standard deviation of 5.46. That includes one prediction for the Huskers to win by a field goal, basically (2.9). DRatings.com comes the closest to the actual line, projecting a 25.31-point Nebraska win. Everything else falls somewhere between those two numbers. That’s not uncommon for Week 1 games. I follow Nebraska football professionally and have little idea of the complicated calculus it would require to accurately project this first game off of a power ranking presumably crafted from a combination of last year’s stats and whatever new coach adjustments you care to make. Now imagine trying to do that for every game in the country and do it with at least some accuracy. Luckily I don’t have to, and I don’t even have to look hard to find those that are. This is how I know college football is actually back. Having multiple games on last night was great, but staring at a bunch of numbers to determine where the computers and the market differ is really when I felt like we’d actually made it. 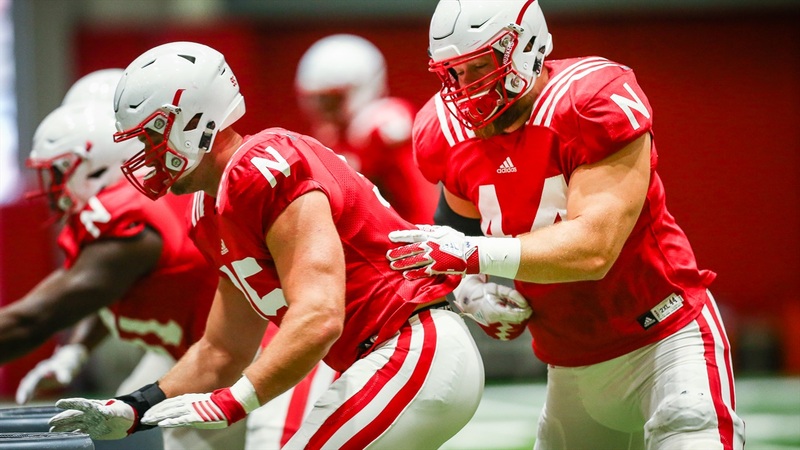 Nebraska football has its captains for the 2018 season. Here are your recaps of Scott Frost's Thursday press conference and radio show appearance. A two-pack of running back stories: Derek Peterson on Wyatt Mazour and Jacob Padilla on Devine Ozigbo. Last but not least, Bill Moss is expecting a blend of the old and the new on Saturday.